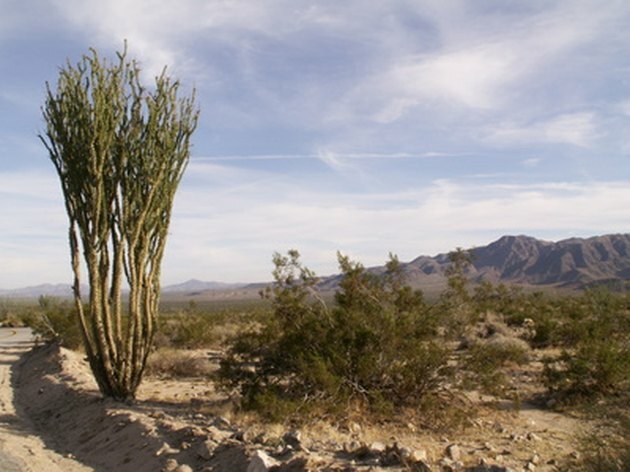 Although surviving in the desert is difficult for humans, desert plants have evolved so that they can survive in all but the driest conditions. Many desert plants have adapted to the harsh environment by growing deep roots that can gather water from several feet under the surface. Without these long roots, these desert plants could not stay alive, nor could the wildlife that depends on them for food, drink and shade. Plants in the desert have long roots to gather water from deep under the soil. Long roots for desert plants look similar to other roots, only more lengthy. The roots spread out from the base of the plant deep into the earth. Typically, the roots are larger than regular thread roots so that they absorb more water. Depending on the plant, the tap roots can reach anywhere from 2 or 3 feet under the surface of the ground to over 20 feet for trees and other large plants and shrubs. The plants grow deep roots to gather water that is far down under the surface of the earth. At such a deep level, the water evaporates from the desert heat much slower than it does closer to the surface. In some locations, there may even be ground water present under the desert floor that can sustain plants with deep enough roots. The roots then gather this water and transmit it to the top of the plant so that it can accomplish photosynthesis to stay alive. A deep root system is not the only way that a desert plant absorbs water. Many desert plants also have water absorption systems present in the stems or leaves of the plants, such as tiny hair-like fuzz on the surface of the leaves that helps prevent the evaporation of water. 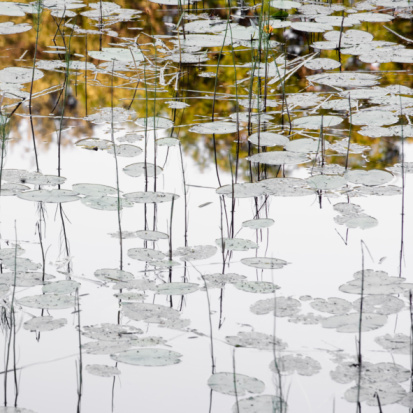 Plants typically have tiny pores in the stems and leaves of the plant called stomata. When these pores open, the plant looses water through evaporation. Some desert plants cope with this problem by having fewer stomata than non-desert plants.